IBM R&D in Israel, Hashachar Tower, 4 Ariel Sharon St., Givatayim, Israel, POB 11, 972-74-7922300. IBM has access to the public floor of the building (floor 2) and occupies offices on floors 19-24. Site reception is located on the 23rd floor. Contact site reception at 972-74-7922300 for information on building parking. 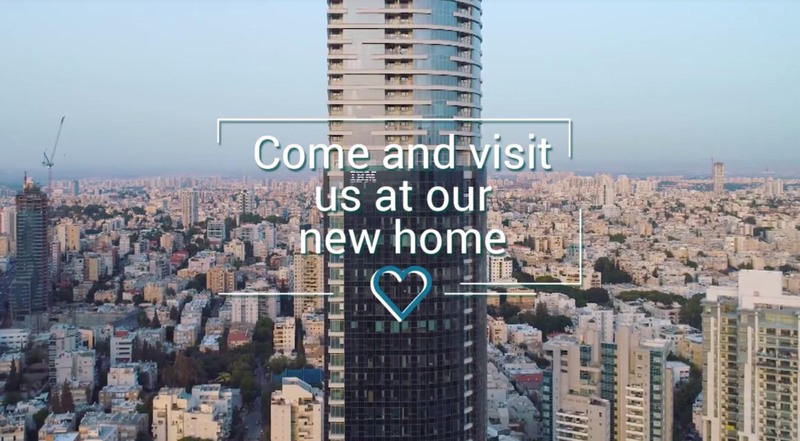 Calls to the Givatayim – Hashachar Tower site should be directed to the main switchboard: 074-7922300 from within Israel and 972-74-7922300 from abroad. Using a GPS navigation app such as Waze or Google maps, search for “Hashachar Towers” in Givatayim (or use the GPS coordinates 32.079909, 34.799766) and navigate to the site. International flights land at the Ben Gurion Intl. Airport (TLV) near Tel Aviv. The airport is 12 miles (20 km) southeast of Tel Aviv, 31 miles (50 km) northwest of Jerusalem, and 55 miles (95 km) south of Haifa. The drive from the airport to the Givatayim site should take about 30 minutes. Local time in Israel is GMT + 2 hours. Note: Some airport and public transportation services are limited on the Sabbath, between Friday from about 5 P.M. to Saturday at 6 P.M. .
From the Ben Gurion Airport train station, located near the arrivals hall in the airport, take the train towards Tel Aviv (final destination - Nahariya). Buy a ticket to the Savidor Center station in Tel Aviv and go down the escalator to the train. Make sure you board the correct train on the correct track. The Givatayim site is a ten-minute walk from the Savidor Center train station. For more information, see the Israel Railways site. Note that trains and buses do not generally run on Saturdays/holidays in Israel. If you arrive on Friday afternoon, Saturday, or a holiday, you will probably want to rent a car or take a taxi. Shared taxis, called Sheruts, are available from the airport to all destinations in Israel. Sheruts are about half the price of a private taxi, so they're a good deal, especially if you're going to a distant area such as Haifa or Jerusalem. Keep in mind that you may have to wait a while, since the taxi only leaves the airport when it is full. As you exit from the terminal building, look for the supervised taxi stand. Give your destination to the dispatcher and he will direct you to the correct taxi. The fares from the airport are fixed, so the driver should not use the meter. The Givatayim site is located in the Israeli city of Givatayim, just east of Tel Aviv. European power is 220 V/50 Hz. Most, but not all ThinkPad AC adapters will accommodate this; check before leaving. You will need a Europe/US outlet adapter, these can often be found in US airport shops. The dress code at the IBM R&D Labs in Israel is generally very casual. Ties at IBM R&D Labs in Israel would be rather unusual, and jeans and T-shirts are common. The work week in the IBM R&D Labs in Israel and throughout Israel is from Sunday to Thursday.